In a layman language terms for tooth decay is has a result of an acid attack or bacteria that eat up the hard portion of our tooth tissue or structure, this is caused by an accumulation of food debris that the bacteria in our mouth act upon and cause a hole. The formation of tooth decay does not take place within a day of bad oral hygiene. It is an accumulation of months or even years of the negligence of oral health, except when it is caused by medication. alcohol and drug users and people who consume large amounts of carbonated and sugary drinks. However, tooth decay can occur at any age, it is more prevalent in children and young as well as older adults too. It is a common cause of tooth loss in young people. Statistics in Nigeria show a prevalence of 30 percent. According to a survey on Appraisal of the National Response to the Caries Epidemic in Children in Nigeria by Morenike Folayan, Nneka Chukwumah, Nneka Onyejaka, Abiola Adeniyi and Olubukola Olatosi, the prevalence of dental caries varies with the study location in Nigeria, ranging between 13.9 percent to 17.4 percent in the semi-urban settlement of Ile-Ife, to between 11.2 percent and 48.0 percent in urban areas such as Benin, Enugu, Lagos and Ibadan. The prevalence of caries is higher in urban than in rural areas, higher in northern than in southern Nigeria and higher in primary than in permanent dentition. This prevalence is of epidemic proportion because it is higher than the five per cent epidemic threshold. Unfortunately, a trend analysis of the prevalence of caries over time has not been possible because studies were conducted in different age groups, using different methods, and in diverse populations. The only national data on the prevalence of dental caries in children in Nigeria was conducted in 1995 and showed prevalence as high as 30 percent and 43 percent in children aged 12 years and 15 years respectively, the survey further stated. The evolving evidence points to the need for proactive action to address the dental caries epidemic among children in Nigeria, especially for caries affecting the primary dentition. A previous study conducted in Lagos showed that despite intervention, the prevalence of caries in primary dentition increased from 17.9 percent to 20.4 percent over a three-year period, though there was a 34.8 percent decline in the prevalence of caries in permanent dentition over the same period. The Worse part is that out of these, over 95.6 percent of early childhood caries is untreated, while on the global average, the prevalence is 35 percent. Nigeria is doing much worse than the global average of untreated caries. According to Dr. Afolabi A.O, HOD Dental Services, Federal Medical Centre, Owo, dental caries occur when one takes a lot of refined sugar that’s sweet things. When this happens,‎ bacteria in the mouth which are normal inhabitants in the mouth, just as you have in other parts of the body but becomes harmful with the presence of sugar accumulation in our teeth. They feed on the sugar and by-product of that process is dilute acid, which results in dissolution of the hard tooth tissue known as demineralization (the loss of calcium, iron from the tooth structure) and you have cavity formation that’s the hole in our tooth. According to medical research, calcium helps strengthen bones and hard tissues in the body, but in the presence of a dilute acid as a result of bacteria in the mouth feeding on refined sugar, that dilute acid is formed and that result to a dissolution of the hard tooth tissue resulting in cavitations. That is what is referred to as tooth decay,” he said. This means that the bacteria in the mouth combine with saliva and the sugar in the food that one eats to form plaque. Plaque is that clear sticky film that you can find coating your teeth in the mornings, especially when you did not brush the previous night. If not cleaned in days, the plaque becomes harder and forms tartar. Tartar is not just hard; it also forms a shield for the bacteria. The acid in the plaque continues to eat up the teeth if nothing is done about it, starting from the enamel to the dentin, then to the pulp and finally, to the root of the tooth. An individual may begin to suspect he has tooth decay at the inception of some symptoms, like brownish, black or green spot appearing on the teeth, toothache, tooth sensitivity or even unpleasant taste in the mouth. Experts have, however, warned that the above is not good for the oral health. It is expected of every person to visit a dentist twice in a year for a proper check-up, but in developing countries like Nigeria, the reverse is the case. Statistics have it that 95 percent of people with dental caries usually present late, that is why tooth loss is common in this part of the word. While Dr. Afolabi emphasized that as soon as the teeth start erupting in the mouth, parents should present their children for examination and consultation, most people never do that until there is a problem, even at that, they present late. Enlightening more on the symptoms of dental caries, Dr. Afolabi, said: “There are different layers of the tooth: the enamel, dentin and the pulp. The acid attack usually occurs on the crown ‎and when it starts; the outer layer is what is first lost which is the enamel. “When the enamel is lost, the destruction gets to the dentin, which contains fibers then you start having some shocking sensation when you take a hot or cold drink. If it progresses, eventually, it gets into the pulp, which is the innermost layer where the blood vessels and what is called emphatic, which is a loss of life to the tooth. The tooth is a living tissue and it is inside the pulp that you have blood supplying vessels, arteries, and veins; so when it gets to the pulp, it is now irreversible pulp, which is an exclamation of the pulp. For experts, prevention of dental caries by simply going for check-ups twice a year, avoiding refined sugar foods or rinse your teeth after taking it, and brushing with fluoridated toothpaste twice daily would prevent tooth decay. Dr. Afolabi: “Prevention is what we always say to people on oral health talk. To prevent dental caries or tooth decay or cavities, you have to avoid refined food products contained in carbonated drinks, soft drinks, cakes, sweetened chewing gum, biscuits, candy, chocolates which are the worst of all because they stick onto the teeth and allow good enough time for the bacteria to act on the surface of the tooth and cause tooth decay, you would be doing yourself better. “We also give oral health talk to people who can’t avoid taking them, then take them with your meals which is in between meals because if you take them at this point, the action of chewing and saliva helps to do some cleaning action to remove some of the things in the mouth; so dietary control is the key when you talk about prevention of dental caries. In a situation where tooth decay has already occurred, treatment will depend on the stage at which the patient is presenting in the dental clinic. According to an expert, “if it is an early stage, there are some things we will advocate such that it doesn’t progress further. 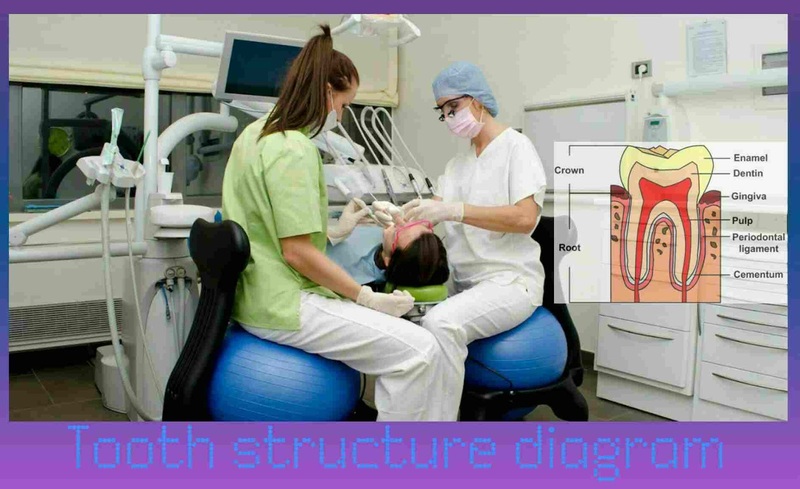 This is if it is still at the reversible stage within the enamel and dentin, but if it has gotten to a stage at which the patient cannot sleep at night, this also depends on the stage of that destruction too. What is the Main Reason for Extracting a tooth?